Coal Camp Kids: Coming Up Hard and Making It! 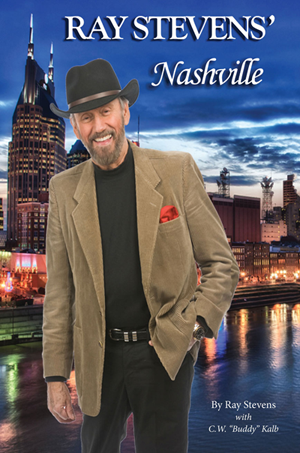 This epic story is intertwined with the history of the coal mining industry from 1900 through 1960. This book encompasses the life and times of the coal miners children in the camps and how their lifestyle tempered them to succeed at any cost after they matured and left the mining camps. This limited-edition 352 page hardcover book is heavily illustrated with 365 photographs detailing the daily struggles of life in a company-dominated coal camp. The company-owned stores sold cheese, shoes, dress goods, cookies-and coffins. Miners owed their souls, and paychecks months in advance, to the company store. The company houses were square duplexes; asbestos-backed fireplaces supplied some heat. Each box-like house was equipped with “outdoor” plumbing-a squatty duplex so cold in winter, folks heated a cardboard “seat-cover” and prayed it wouldn’t be cold before they reached the frozen, two-hole necessity some 50 yards from the house. And so hot in summer one swept out snakes, spiders, and wasps before using. Rent was $8-$10 a month, and the miners’ pay was $1.92 for a 14-hour shift. Regardless of ethnic origins, miners were equalized by their jobs-John L. Lewis brought solidarity and a living wage. Even toddlers toted water for Saturday night bathing in a galvanized tub. Cleanliness of mind, body, and home was the 11th commandment. In the guise of “Paternalism”, the coal moguls grew fat, wealthy and gained public approbation-all from the seat of the miners’ coal blackened brows as they wrenched the black gold from the bowels of the mountains surrounding Wayland, Kentucky-named by Clarence Wayland Watson, who later became a United States Senator. S-E-X was taboo. Every coal miners’ daughter was cherished, protected and guarded-positive she was the last, the only virgin within a seven-state radius. Whether Old Regular Baptist, “mackerel snapping” Catholic, Methodist or snake-handling Fundamentalist, home life-wrapped in the cloak of coal dusted poverty and warmed by love and laughter-was ridigly moral. Educators instilled love of learning, thirst for knowledge, and awareness of a world beyond the coal camp. Coin of the realm was company minted scrip-and not worth a tinkers’ damn outside the camp. Company-contracted “doctors” were scarcer than hen’s teeth, and good health was dependent upon home remedies-castor oil and common sense. Moonshining was a proud profession, but bootlegging was the gravy train. Camp police were armed and gutsy, laying the law, and their lives, on the line, aware they could fall like their predecessors-killed from ambush by unseen gun-toters. Ballot boxes were stuffed, votes were purchased with half-pint bottles of boot-leg whiskey, and county roads were graded at election time. LBJ announced $4,500 a year as “poverty level”-three times the amount a miner earned in the 30's! Basketball and baseball, carnivals and circuses, movies and church revivals, climbing the high rocks and walking the railroad tracks-these were entertainment. The coal industry is dying. The verdant green of young trees entomb the scars left by the moguls, but the creeks and rivers are permanently polluted. Rebirth is a daily hope. 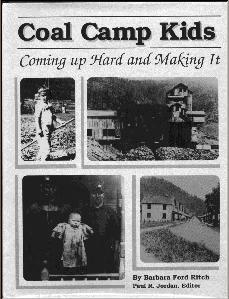 Coal camp kids are born to fight and survive. Daughter of a coal miner who lived and preached the gospel of unionism, Mrs. Ritch, the middle of five children and one of two surviving, was born in 1932, the waning years of the Depression. She grew up with a thirst for knowledge, a hunger to experience life at its fullest, and, like the classic writers of old, a deep desire to leave her footprints in the sands of time. The author has one child, two grandchildren and one great-grandchild. The affluence of their lives, compared to her own at their ages, brought old memories surging to the surface...when they hurried home from school to listen to favorite radio programs, when a Christmas joy was to find one orange, one apple and several Brazil nuts in the Christmas stocking-not a computer or a new car or six-foot television screen. It was just such an affluence and the death of both parents that prompted Mrs. Ritch to write Coal Camp Kids-Coming Up Hard and Making It. Ritch dropped out of school in 1949, but with the gritty determination of her mountain heritage, studied for and passed the GED sixteen years later; she proceeded to pursue writing courses and, with her husband's job, lived in North Africa for seven years. A Wayland, Floyd County, Kentucky native, Ritch married a Rome, Floyd County, Georgia boy and though both are well-traveled, she says, "We've never gotten above our raising. We still eat corn bread, turnip greens, pinto beans and wish we had fresh milk and home churned butter and buttermilk." Mrs. Ritch resides with husband, Hub, two dogs, and one cat in the beauty of Wolffork Valley, Rabun County, Georgia where, she says, "The air is still clean, the mountain beauty spectacularly intact and the people here are just like Kentuckians- the best ever."